We’re halfway through the fourth season of ABC’s REVENGE , and I’m as invested as I was four years ago. 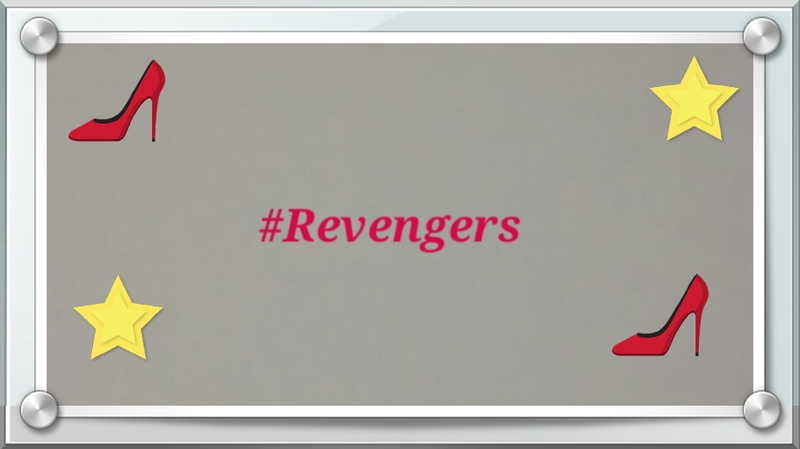 I proudly wear the label REVENGER, as many of my fellow Revenge viewers do. Why, you may ask, do I promote this show more than others? Quite simply – it stimulates my love of dramatic writing. Had to get a little creative with this photo. Couldn’t find a double-infinity or pen sticker! As I’ve stated in previous blog entries, my creative writing interests lean more to the Dramatic Television Writing genre. From my junior high school days, I would guess upcoming storylines for my favorite shows and write scripts/scenes detailing what I thought was in keeping with the tone, story, and character development. My predictions didn’t always match, but the creative stimulation kept me writing. How will “Emily” get out of her current predicament? Who will be next to discover the truth about “Emily”/”Amanda”? Which main character will say goodbye to the Hamptons next? How and when would “David” find out “Emily” is really “Amanda”? How will “Emily” and “Nolan” get “Jack” out of the kidnapping charge scenario? Would “David” hold “Jack” accountable for kidnapping “Charlotte” and seek revenge? I guessed some of the plot twists and reveals incorrectly (i.e. “Daniel”, cue tears), but that hasn’t hastened my excitement to predict what would happen next. REVENGE’s fourth season continues to surprise, engage, and impress. I’ve already spent many an hour drafting new scenes and story ideas. As long as they continue to produce new episodes, I’ll be watching and then writing afterwards!